For operating a Basketball or other sports related website the same holds true as for any other type of web site – It must be able to set itself apart in order to be noticed. 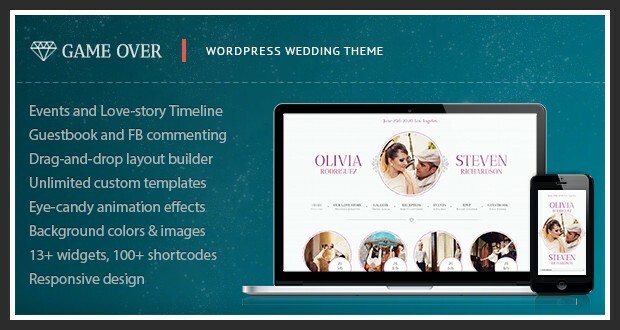 To achieve this criteria, the perfect theme is a necessity. 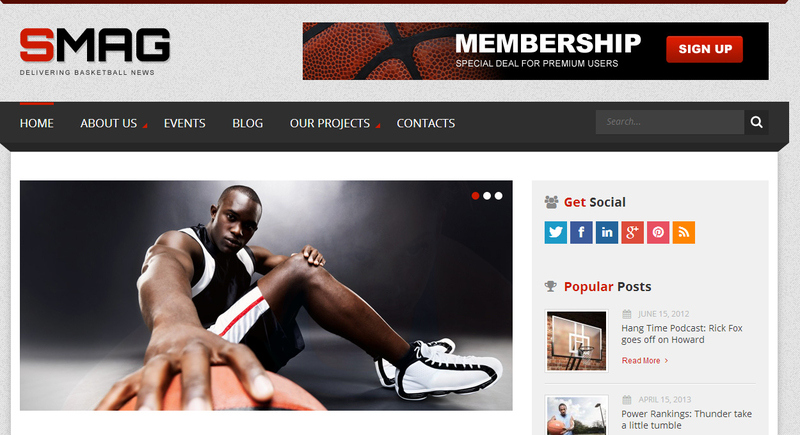 For this purpose, we have collected the top 10 Basketball related WordPress sports themes available to date. You will find them below in no specific order. 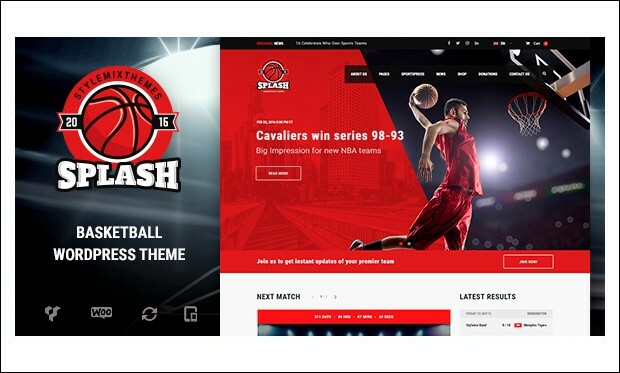 Splash is the clean and minimal basketball wordpress theme that is specially designed for sports clubs, basketball teams, soccer teams, sports news and other sports organizations. It is compatible with sportsPress which supports the display and easy management of the sports club. 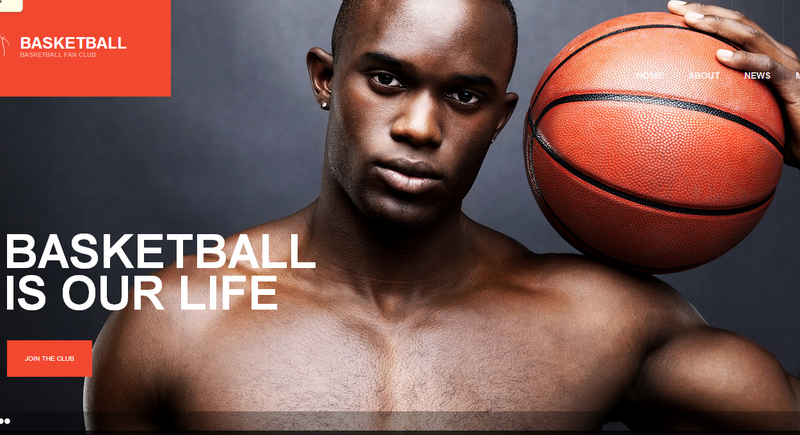 Xtreme Sports is the clean and minimal basketball wordpress theme that is suitable to create any type of website for basketballs and sports clubs. It is compatible with the advanced and powerful features and plugins that help in creating the responsive basketball website. 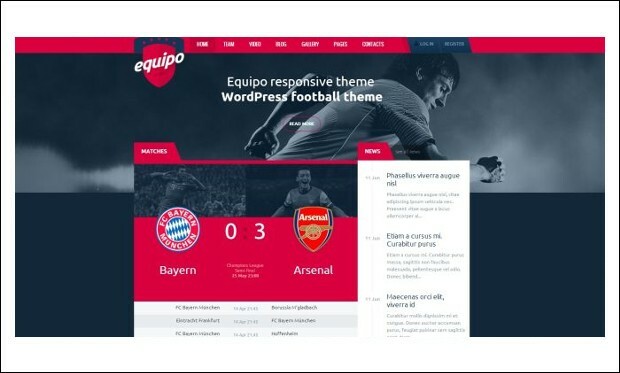 Equipo is the creative and responsive wordpress theme for creating the football teams, basketball teams or any other sport teams. 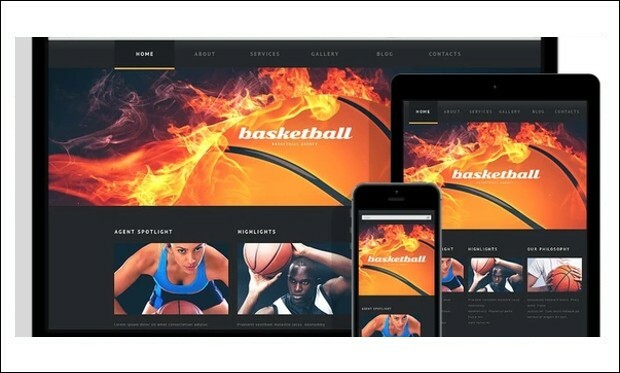 The design of this theme is unique and also SEO optimized and easily create the website that helps in the easy creation of the basket ball websites. Put the ball on fire with our new basketball template! It will give you power and energy to attract fans and to make this sport more popular. The design has a trendy flat look and full of photos inspired by basketball power. The simplicity of content area structure makes navigation easy and quick access of everything to satisfy your visitors. 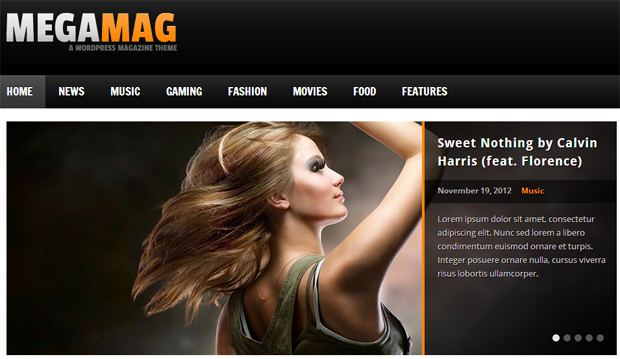 A clean 2 column theme running on the Bootstrap Cherry Framework ideal for blogs and magazine styled web sites. The theme is easy to customize thanks to the built-in admin panel. 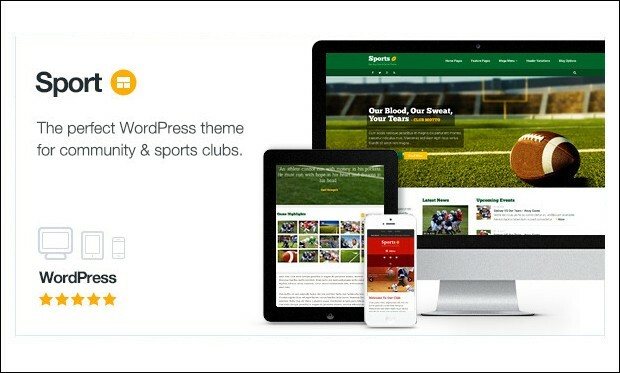 Ideal for sports related blogs and magazines. A simple theme dedicated to Basketball. The theme was created with blogs and galleries in mind and comes with an admin panel for easy adjustment without the need for an editor. Because of the clean design, this theme looks great in almost all browsers, including older ones. 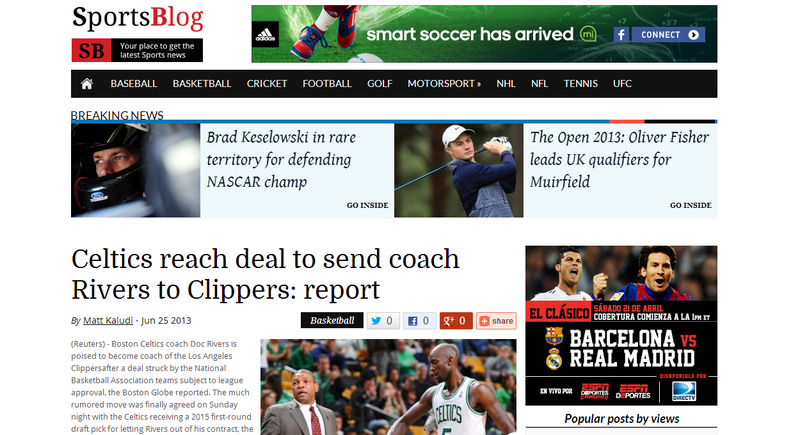 A theme providing an ideal foundation to any sports related web site. 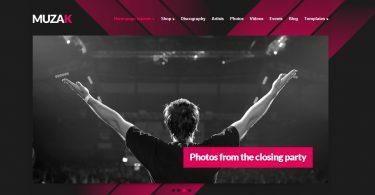 Clean minimalistic design combined with a wide variety of features make this theme fit for almost any type of sports web site and because of the responsive layout it looks great on desktops as well as on mobile devices. 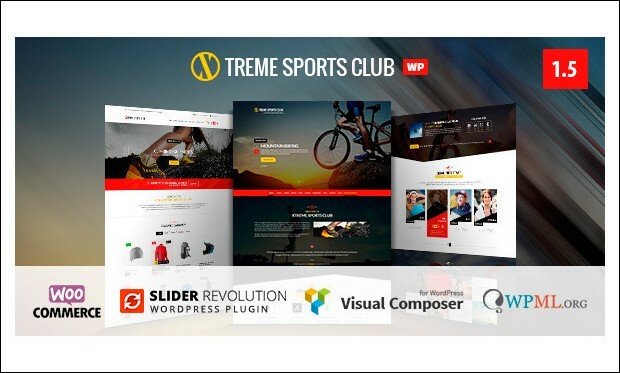 This light-colored theme comes jam-packed with lots of amazing features, like a slider, a wide variety of custom widgets and a set of different styled layouts, making this the theme of choice for almost any type of sports related web site. 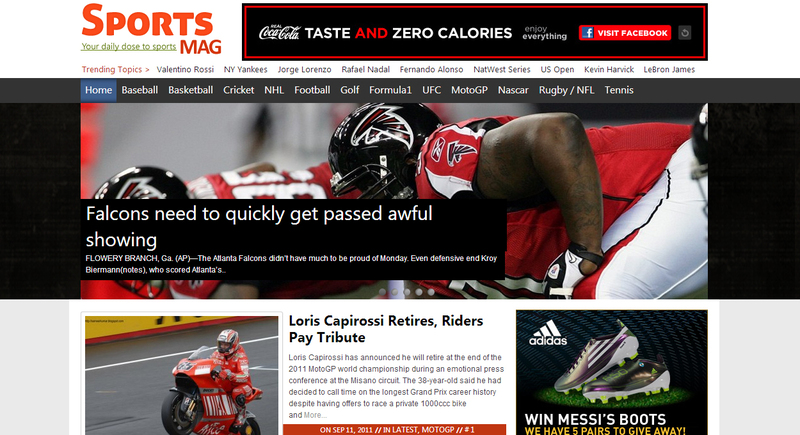 A dark colored theme ideal for sports-related blogs and magazine type sites. The theme is easy to tailor to any specific needs through the custom control panel and comes with its own set of customized widgets. 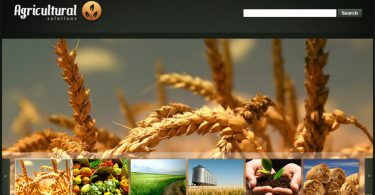 This theme has also been optimized for the search engines. A clean and simple theme geared towards online magazines. 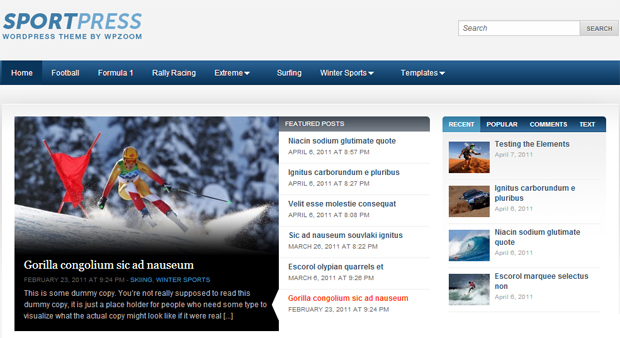 The layout and color scheme make this theme fit for running all kinds of dedicated sports related magazines. The theme looks great on all browsers and is easy to tweak through the built-in admin panel. Out of the boxk this script comes with a set of custom widgets and built-in ad manager. 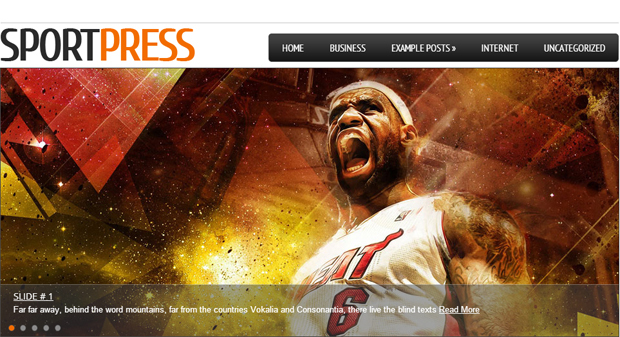 A modern theme excellent for running a dedicated Basketball or other sports related web site. The responsive layout ensures the theme looks as good on mobile devices, like tablets and smart phones, as it does on desktops. The custom control panel makes adjusting the theme a snap and the theme comes with several built-in SEO options. A clean minimalistic theme created with magazines in mind. Great for running a sports magazine. The theme is compatible with all browsers and is easy to adjust through the custom control panel. 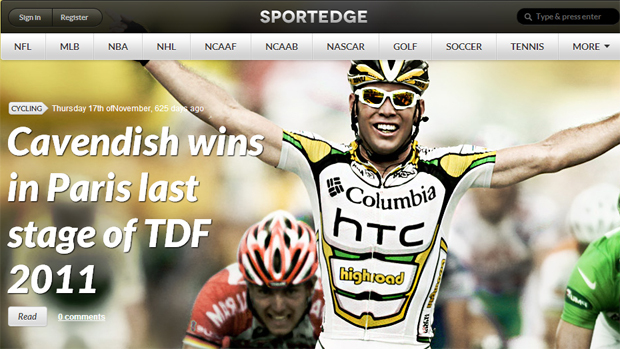 A sports magazine type theme featuring unlimited global skins with responsive design making it compatible with all devices, mobile and otherwise. The theme is ad ready thanks to dedicated advertisement placement areas. 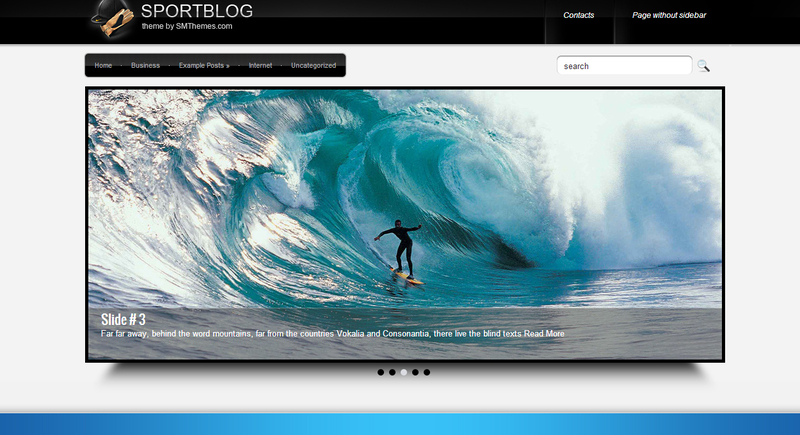 SportBlog is a theme which provides a solid foundation for any type of creative sports web site. Unique design and responsive layout ensures it looks great on any device.